Last weekend started with some beautifully warm weather, so I gathered all the spray painting projects on my to-do list & started exersizing my trigger finger! You'll see them all in a few days. Stay tuned! 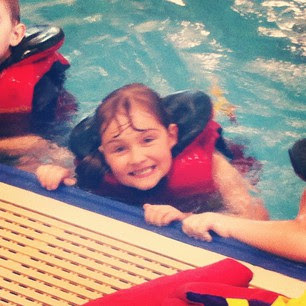 My current Saturday morning routine includes going to swimming lessons with my little fishies. 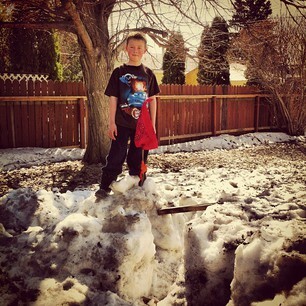 The warm weekend brought playing outside in the snow in our shirtsleeves. The kids had a backyard game of capture the flag going on! This snow is pretty much gone so now comes the spring clean up & getting the garden ready for planting. 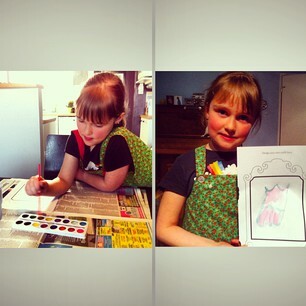 Audrey broke out my old painting apron which I wore as a little girl & painted lots of masterpieces with her new Barbie painting set that she bought with her own money. 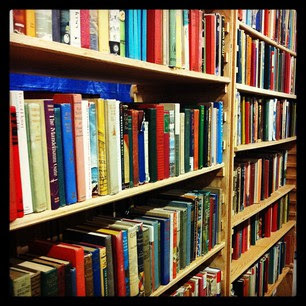 Does this sight make your heart beat a little faster? It does mine! I made two more trips to our local symphony's annual used book sale & came home with lots of goodies. I see a summer of good reading ahead of me! 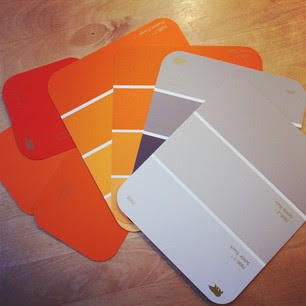 This week also included picking some colours for my son's bedroom makeover. 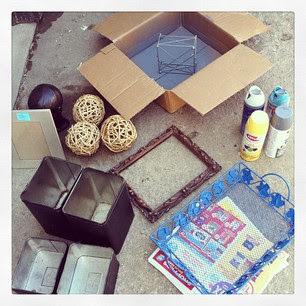 I bought the paint today & will start on the next project this weekend. Warm, summer-looking clouds gracing the sky as the weather gets more & more beautiful. 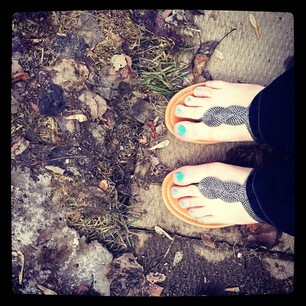 I caught the last bit of our back yard snow yesterday morning after I broke out my sandals. 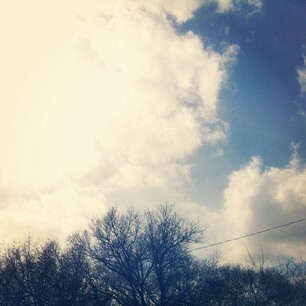 Let the spring officially begin! Not sure I could be any more excited about this! 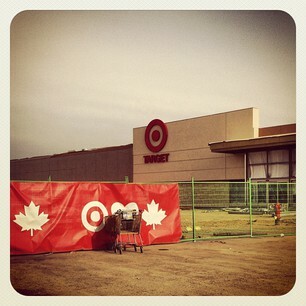 The first Target store in Saskatoon is almost ready to open!! The sign was unveiled the other day.